CICTotal Manager Property Management Software is Now Powered by Rentec Direct! We are proud to announce that we have partnered up with Rentec Direct, an industry leading software provider, to power CICTotal Manager, our all-inclusive, online property management software! 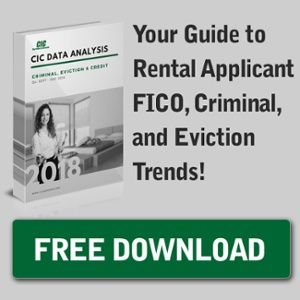 CIC™ believes that this dynamic collaboration will help property management companies like you gain success in the growing rental housing market. Powered with our fast and accurate tenant screening, you can rest assured that you’ll be connecting with the right tenants for your rental community. With no hidden fees, setup or onboarding costs, and no long-term contract, the upgraded CICTotal Manager is the most cost-effective platform for property management firms like you. Our pricing is based on the number of units you manage, with an additional tenant screening rate that varies based on the screening package you choose. Additional features like ACH rental payments and accounting are included at no cost. With CICTotal Manager you’ll be able to avoid time consuming trips to the bank and writing up checks with credit card and ACH (E-Check) payments. Collect rental payments from you tenants and pay your property owners via ACH at no cost. CIC™ is enthusiastic that this partnership will enable us to extend our commitment to excellent service and quality information to property management companies like you. As always, alongside our intuitive property management software, our U.S. based customer support and 24/7 technical support will be available to answer any questions. In celebration of the new property management software launch, CIC™ is raffling away a $100 visa gift card until March 16, 2018. To enter the giveaway, visit here. The winner will be contacted via email. Get more information about CICTotal Manager.